Learn more about the Lorex MPX HD 1080p PTZ Camera with Color Night Vision. Includes pricing, features, and FAQs. 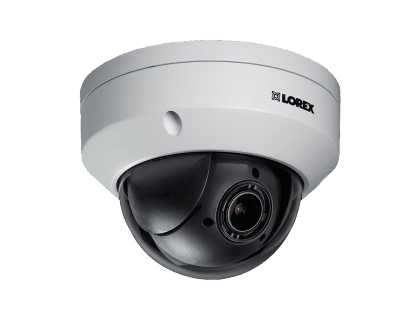 The Lorex MPX HD 1080p PTZ Camera with Color Night Vision is an indoor/outdoor security camera from Lorex. The camera is equipped with a variety of security features like full-color night vision, zoom, and 355° rotation. Pan-Tilt-Zoom (PTZ) camera for HD DVRs. 1920 x 1080 HD resolution. Pros: Works in extreme temperatures. Easy to install. Pan, tilt and zoom functions. Cons: Full-color night vision only works with ambient lighting. Bottomline: An affordable and reliable security camera that can be used in a wide variety of settings. What are some alternatives to the Lorex MPX HD 1080p PTZ Camera with Color Night Vision? Swann 8 Channel Security System. SMONET 8CH Video Security System. Where can I buy the Lorex MPX HD 1080p PTZ Camera with Color Night Vision? The Lorex MPX HD 1080p PTZ Camera is available on Amazon and on the Lorex website. Does the Lorex MPX HD 1080p PTZ Camera work at night? Yes, the MPX HD 1080p PTZ Camera is equipped with a full-color night vision function that has a field of view of up to 95°. Can the Lorex MPX HD 1080p PTZ Camera with Color Night Vision be used in any weather? The Lorex MPX HD 1080p PTZ Camera has a secure full metal weatherproof housing and can be used in any weather conditions.